#2,576 Present Over Perfect. 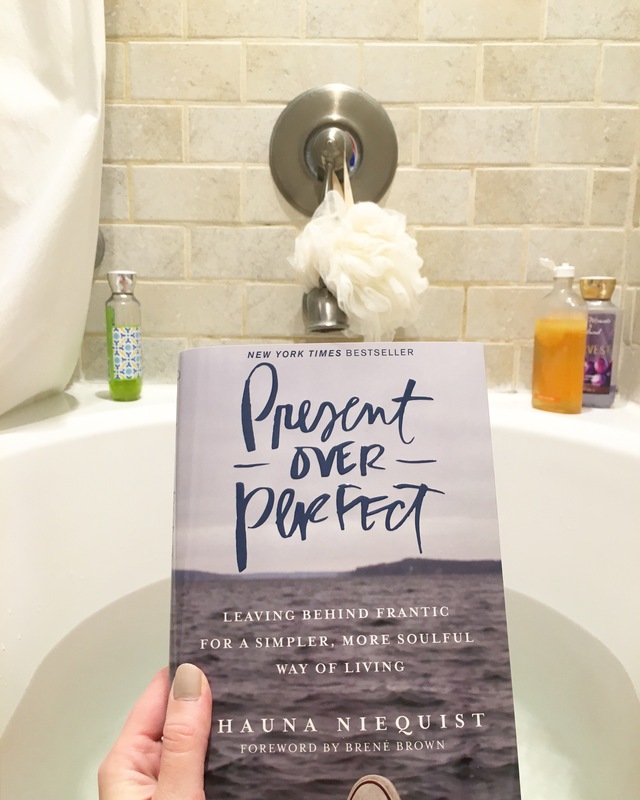 – Laurel Mercantile Co.
Now reading: #2,576 Present Over Perfect. I started reading a new book this week and tonight, while soaking in the tub, I had the strange feeling that I wasn’t alone in the room. She was in my thoughts, every single neurotic thought I have about how I am a “high-capacity person” who pushes myself past my limits of what I can accomplish in 24 hours… And for what? It’s a hollow, raw feeling to realize. I can hardly think of any moments when I felt really content and “done” with my work. It never ends, and busyness is the drug that keeps me distracted from what really matters and isolates me from the things and people I love. It’s powerful. If you don’t have it yet, get this book.